A new take on the modern fairy tale. 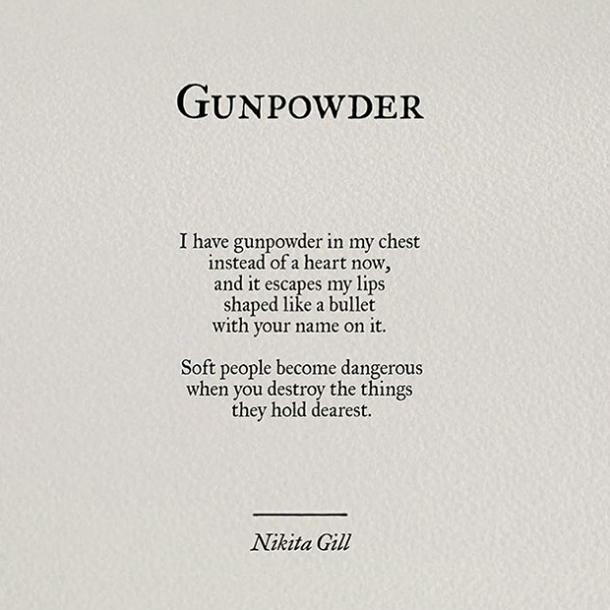 Nikita Gill has made a name for herself as a talented author and poet. 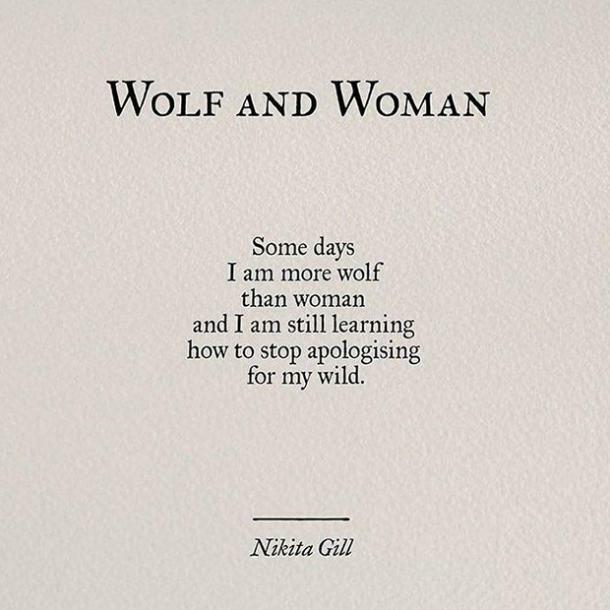 Her Instagram page is filled with inspirational quotes from her writings. Those poetic messages have certainly connected with readers as well. 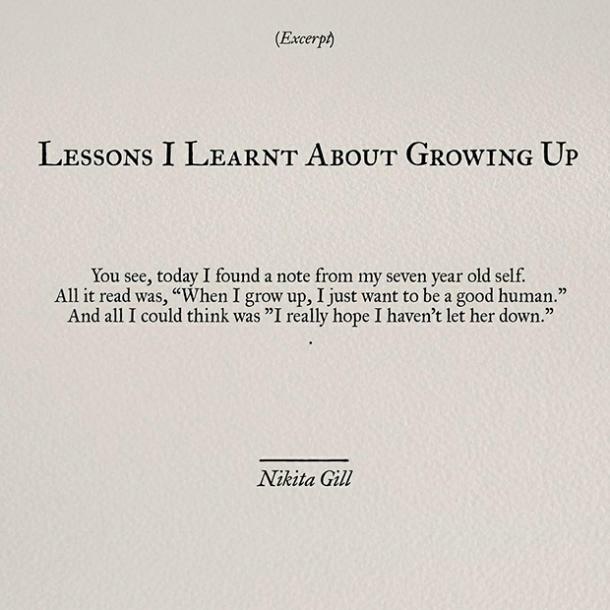 Nikita Gill has amassed a huge online following, with over 400,000 Instagram followers. 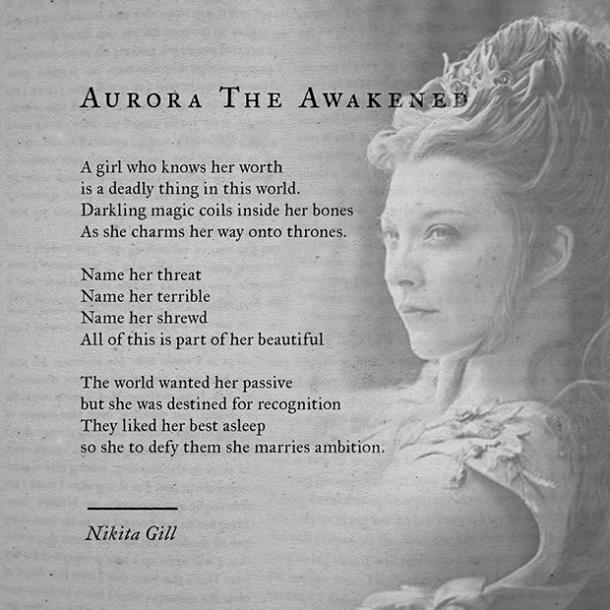 Nikita is the author of Wild Embers and Your Soul is a River. 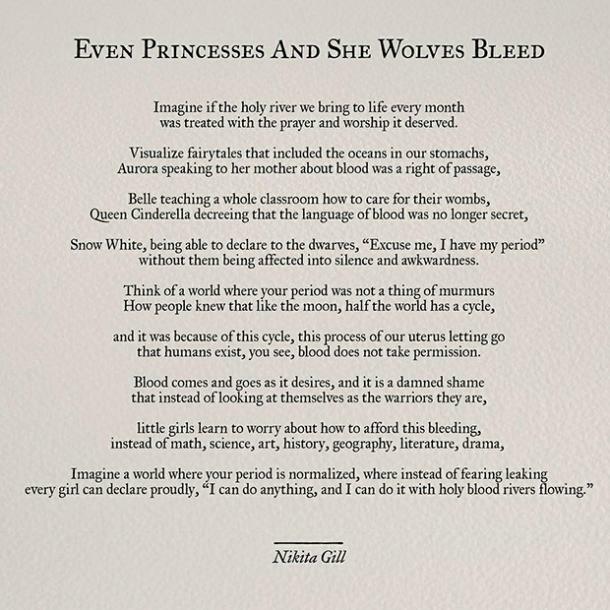 Her latest book, Fierce Fairytales, is sure to delight both poetry fans and feminists alike. 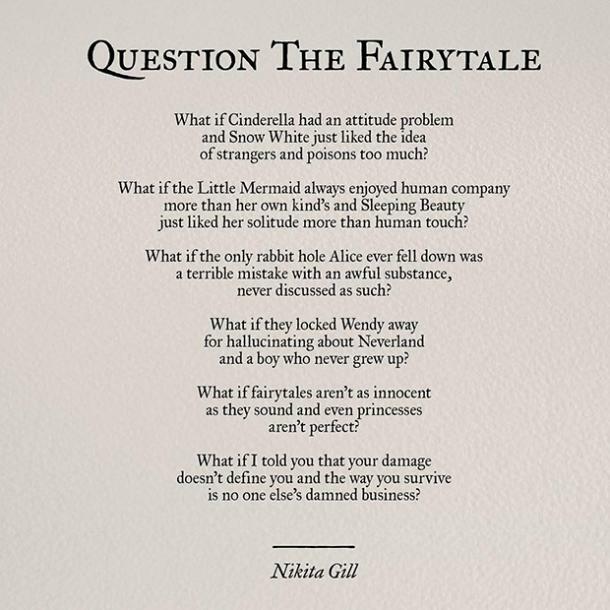 In Fierce Fairytales, Gill takes those traditional fairytales we all know and gives them a much-needed modern update. 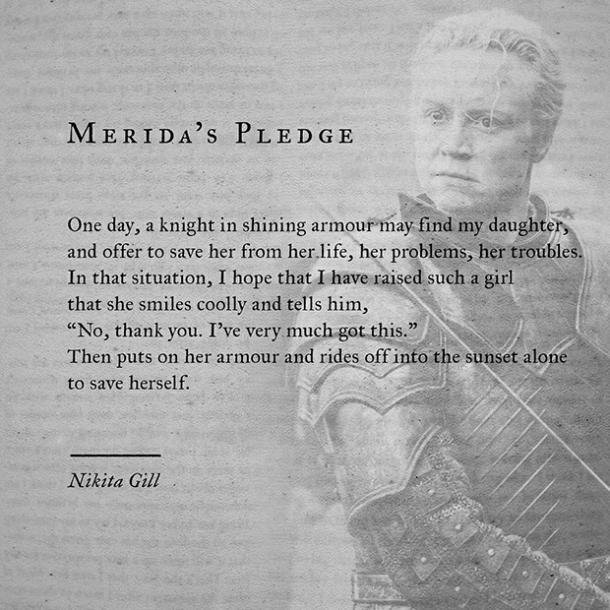 Instead of damsels in distress, we get fairytale heroines who save themselves and blurred lines between heroes and villains. 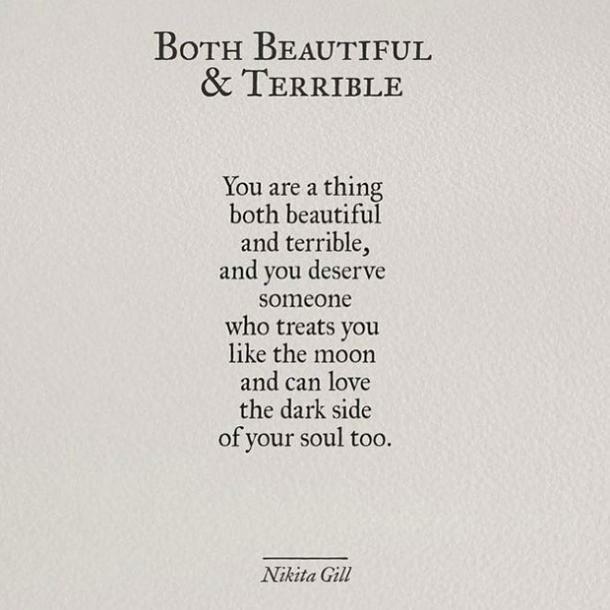 Nikita's writing seamlessly blends entertaining poetic narratives with highly-inspirational messages. Her creativity in transforming classic fairytales makes for an engaging read - especially for women. 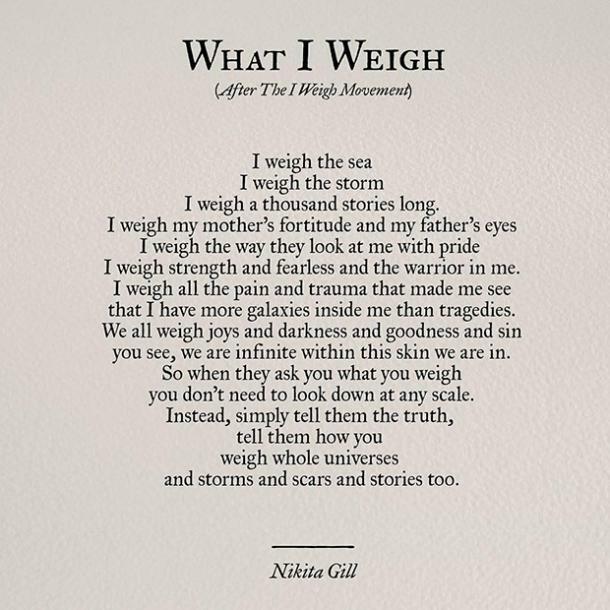 These poems and stories will leave you feeling empowered and wanting to see more work from this incredibly talented writer. 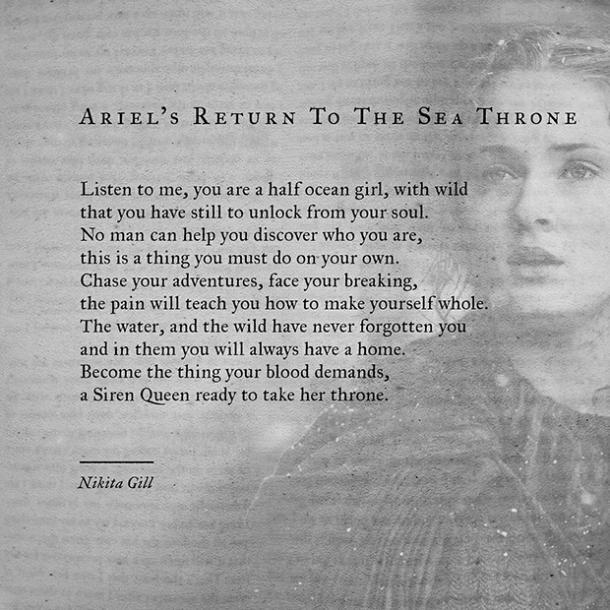 I had the opportunity to interview Nikita Gill and learn about her background, Fierce Fairytales, and her plans for the future. Can you tell us a little bit about yourself? Where did you grow up? When and why did you start writing? 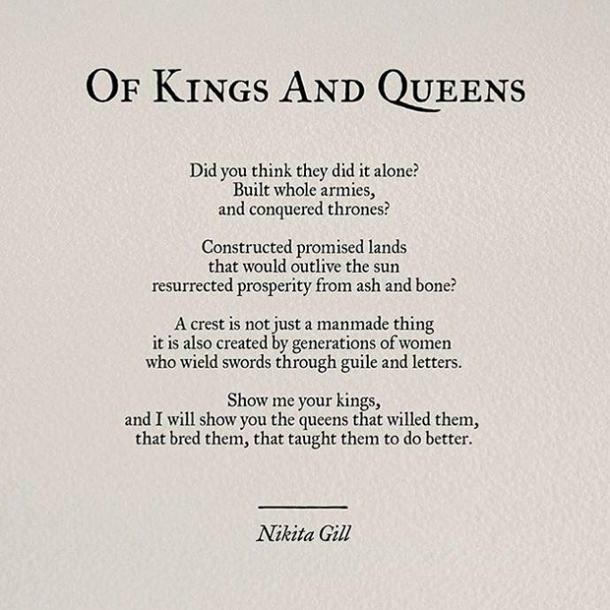 Nikita Gill: I grew up in Gurugram, which is a suburb of New Delhi. I attended both school and university in New Delhi and came to England at the age of 24 initially to pursue a masters degree in Book Arts and Publishing and then stayed on to work. I worked as a carer and teaching assistant at a school for young people with disabilities, which basically changed the way I looked at the world. The amount of love and friendship and lessons I learned from the staff and students at that school were the foundation for me to start putting my work out there with my name on it. I've been writing anonymously on the internet under multiple handles for roughly ten years, so I guess it was just time. 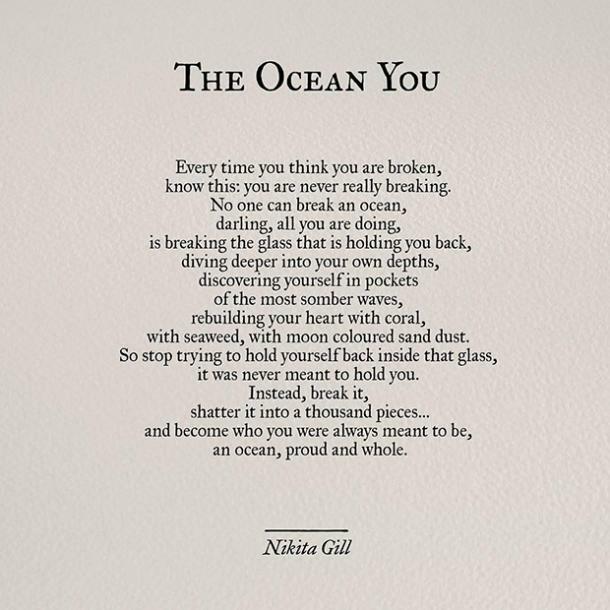 I started writing at the age of 12 and its always just been my way to cope with trauma. Where do you draw your inspirations for your writing? 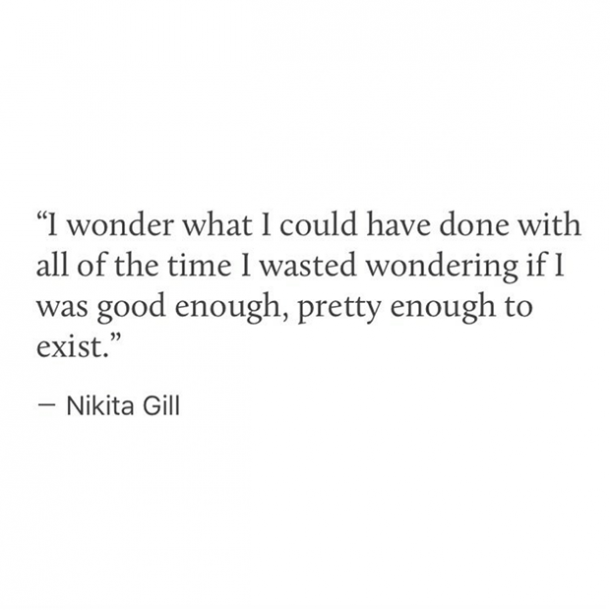 Nikita Gill: Real life. All over the place. I see something that really shakes me up on the news, I write about it. I am dealing with something hard, I write about it. One of my favourite writers, Charles Dickens, conjured up the most beautiful stories from his painful childhood. 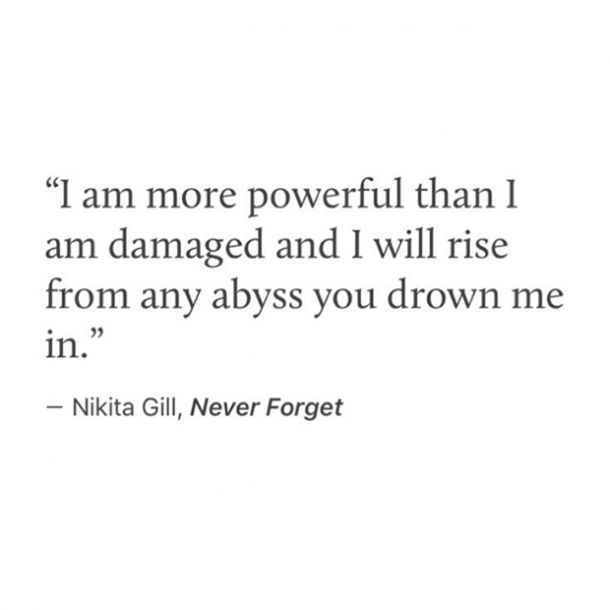 In fact, a lot of my favourite writers found solace in writing to comfort themselves from pain in their lives. I believe some of the greatest art can come from a place of great emotion. And it is emotion that inspires me write every single day. In Fierce Fairytales, you bring a fresh, modern perspective to the classic fairytale - especially for women. 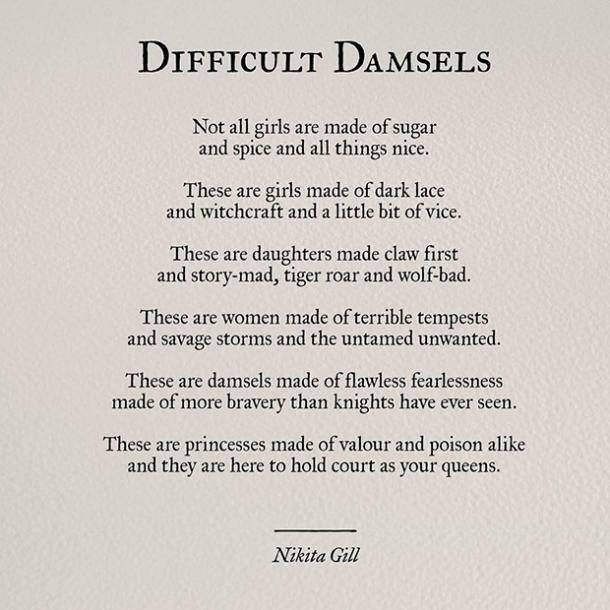 How have those traditional fairytales influenced women and how we are viewed in society? 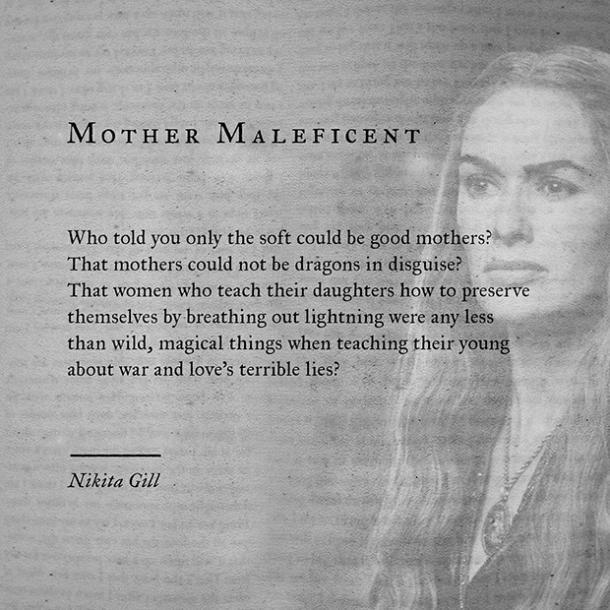 Nikita Gill: I think the most interesting things about fairytales is how the bind women to this idea of moral perfection. And not just women but men too. There are these really detrimental ideas that enforce gender roles, like passivity to the point of sleep (Sleeping Beauty and Snow White) and therefore unable to give consent yet are basically kissed when unconscious. I also find the concept of masculinity, where men have to be a certain level of stoic which involves repressing emotions. For instance, stories things we never question in Jack and the Beanstalk, his mother hits him, but thats just never addressed. So I built a story around addressing that. 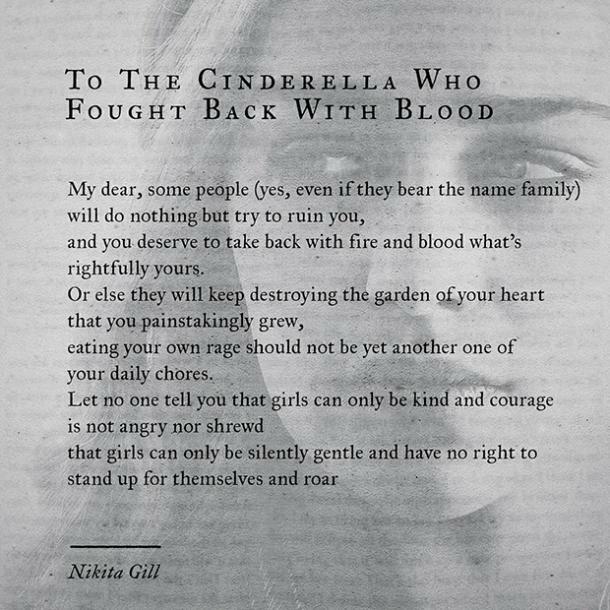 Traditional fairytales bring this concept of women having to be saved by men, that women are incapable of being their own heroes, that kindness and courage are somehow intertwined with taking abuse (Cinderella) and all of this reflects on how women are seen today. Women are basically taught to endure everything that happens to them, and the minute they speak up against abuse, there is pushback to silence them once again. 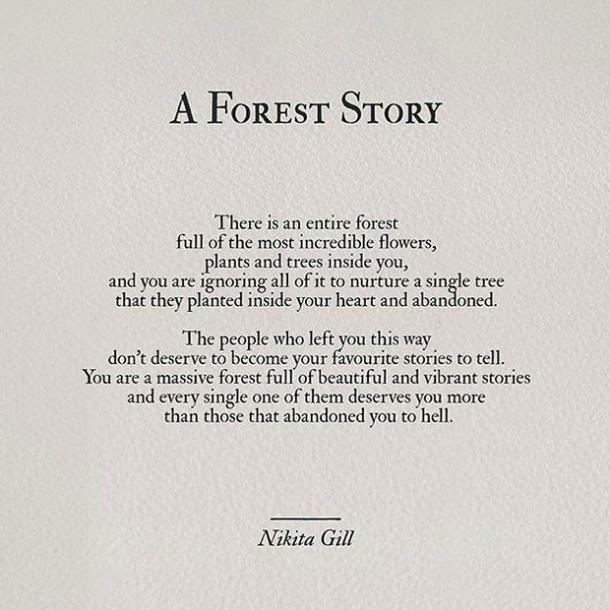 This is why I believe fairytales were in need of an update. So that our daughters do not have to believe or think any of these things. 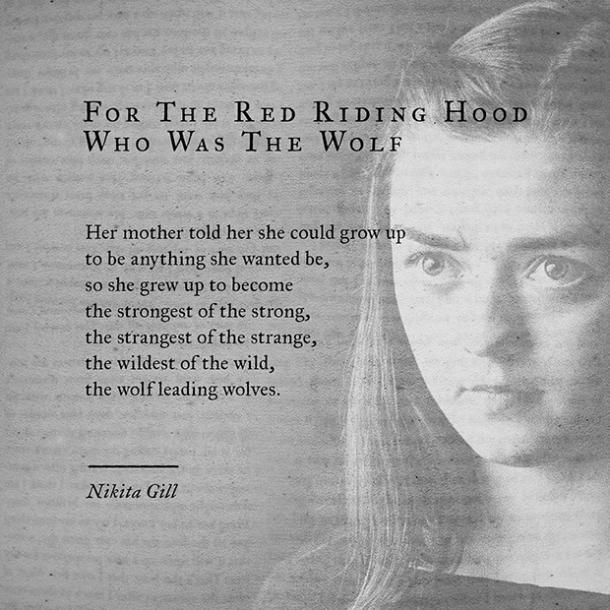 Do you have a personal favorite fairytale that you especially loved re-imagining for Fierce Fairytales? Nikita Gill: My absolute favourite retelling was Cinderella's step mother and step sisters. I've always wondered why Lady Tremaine is so cruel and why Cinderella's step sisters are so nasty to her. So I wrote them backstories that showed how they went through their own traumas, they healed wrong. The lesson in these stories is to never ever look at someone and think they're evil and thats all there is to them. But to address the root of the evil, to understand why they are that way, address them with nuance as all human beings are built of varying shades of gray. What are your plans for the future? Do you have any upcoming books you are currently working on? 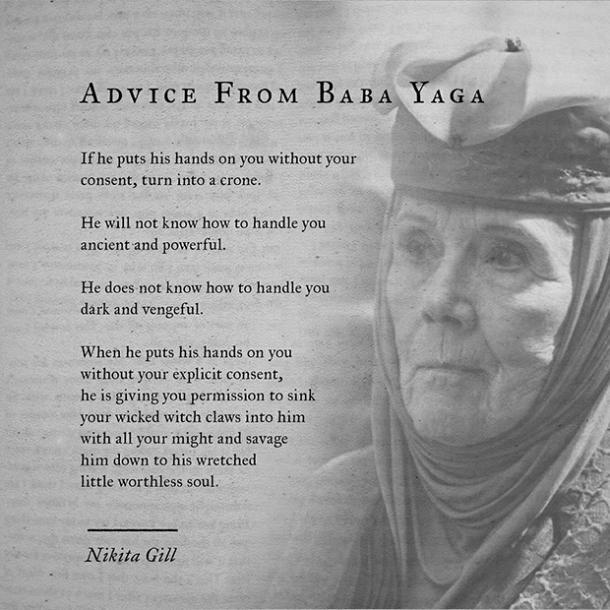 Nikita Gill: I have a lot of writing and a lot of love to give to the world as yet, so that is what I'm looking forward to most. I'm actually working on a series of dystopian short stories right now and as well as a book of poetry which I am also illustrating myself. I am also working on my first ever novel, which is extremely exciting and I look forward to the day I will introduce it to the world. 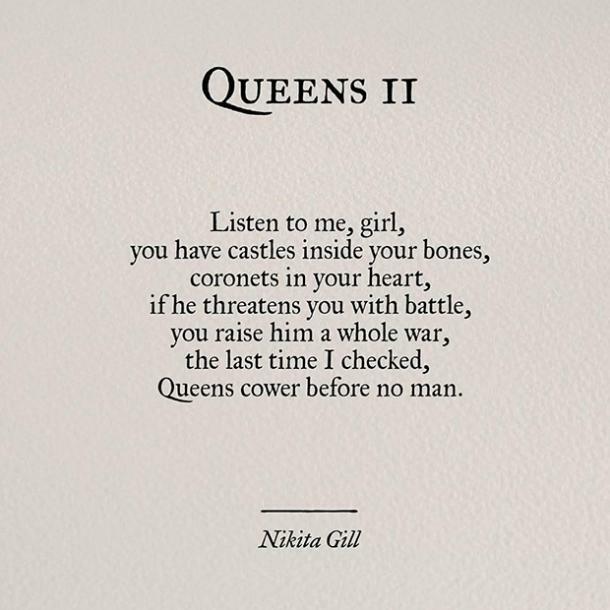 In celebration of her new book, Fierce Fairytales, here are some of Nikita Gill's most inspirational quotes that will leave you feeling ready for conquer the world! 1. We must stand up for ourselves. 3. We are all unique. 4. It is more important to be a good human first. 5. The rage that comes with heartbreak. 6. Women are complicated and interesting. 7. 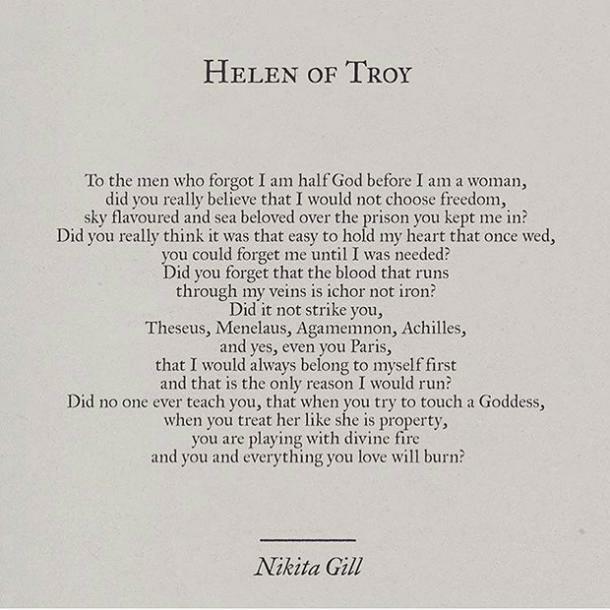 History was made by women too. 8. Know your worth and the world is yours. 9. The strongest people are the ones we least expect to be. 10. Live your life to the fullest and become your own person. 11. A far better way to see ourselves. 12. 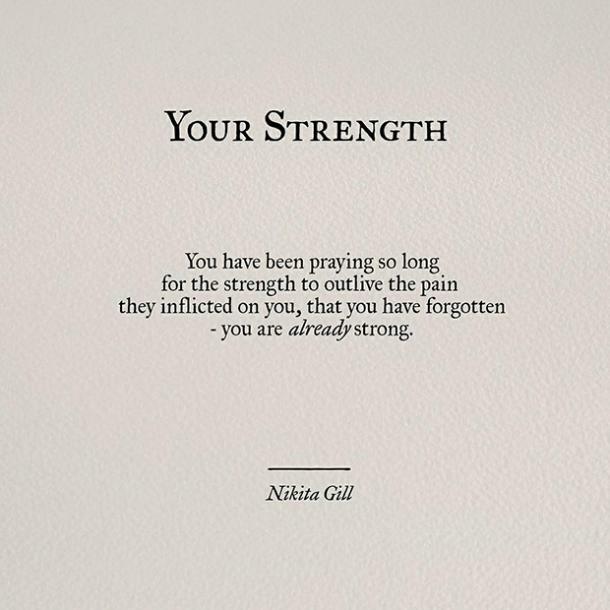 Our strength has always been there inside of us. 13. This should be how it is! 14. 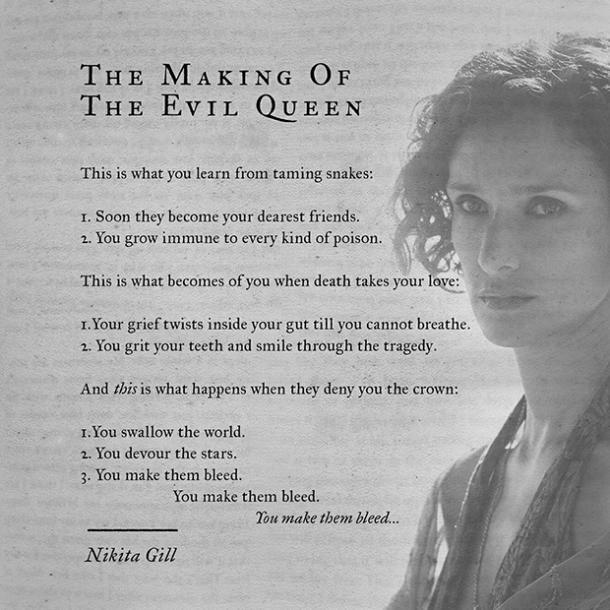 A backstory that re-defines evil. 15. 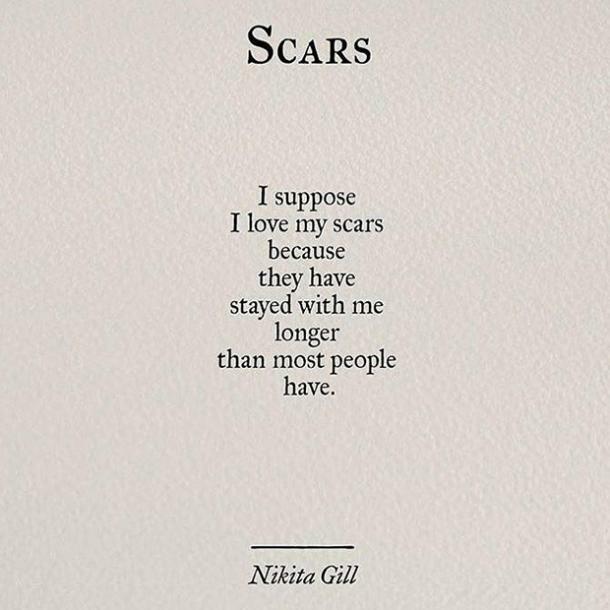 A perspective on our scars. 16. 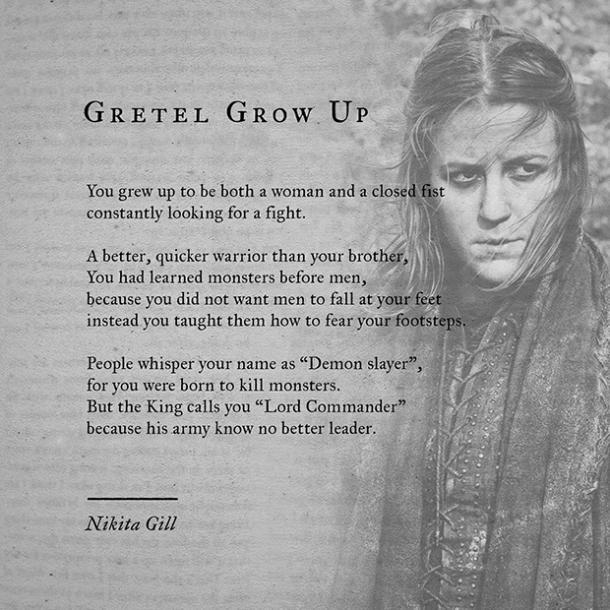 A curious young girl grows up to become a powerful warrior. 17. 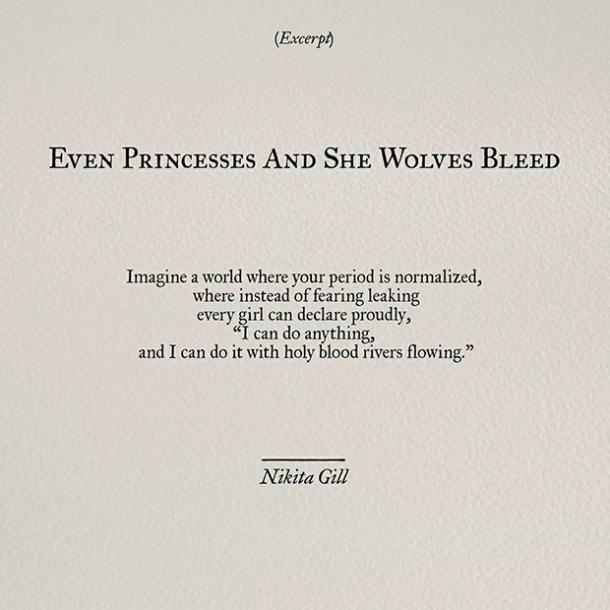 Fairytales that better reflect humanity. 18. No one else can keep you down. 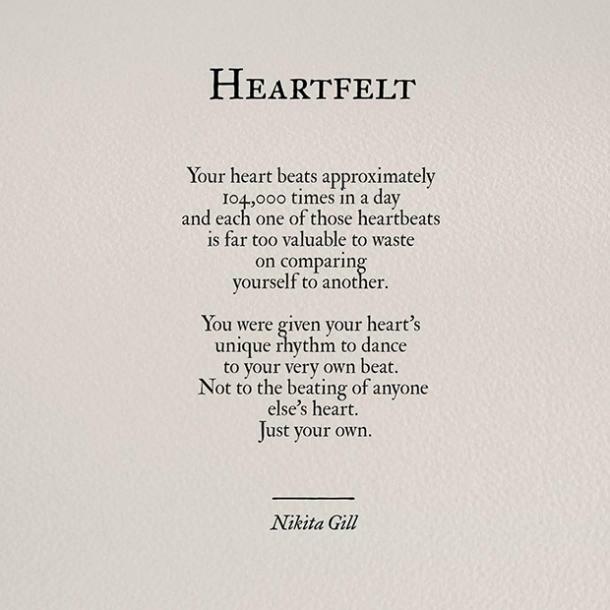 RELATED: 20 Lang Leav Instagram Poems That Redefine The Word "Love"
21. 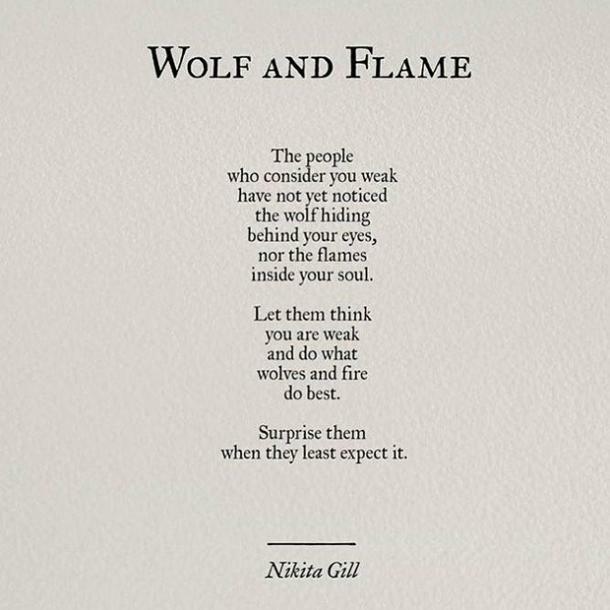 Remember who you are. 23. Find someone who loves the whole you. 24. It is all normal and should not be shamed. 25. Don't waste your time on those who don't deserve you. 27. Don't apologize for being yourself. 28. 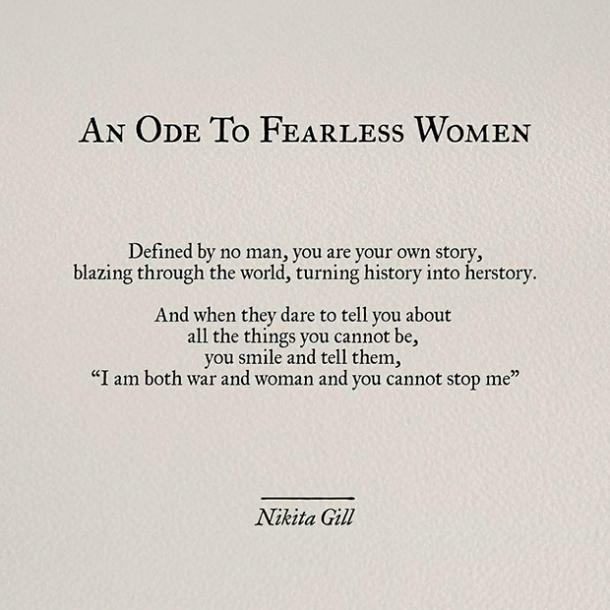 Be the heroine of your own your story.